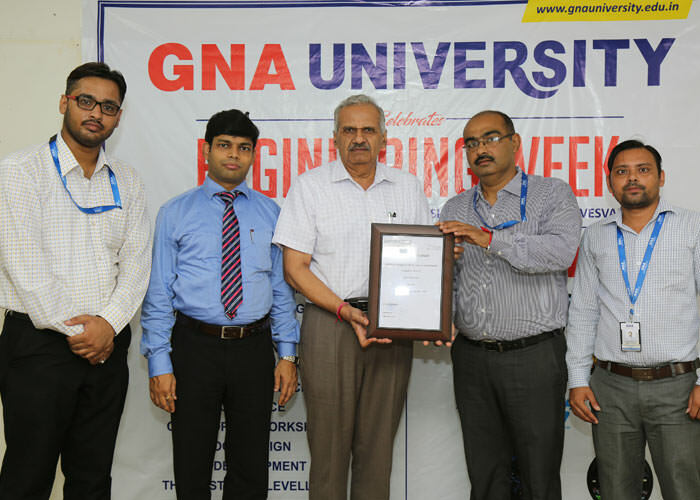 The SAEINDIA chapter of GNA University was inaugurated during engineering week on September 14, 2018 at GNA University. The inauguration ceremony was accomplished in the presence of Dr. V K Rattan, Vice- Chancellor GNA University; Dr. Vikrant Sharma, Dean- Engineering& Technology and Mr. C R Tripathy, Dean- Design and Innovation. SAEINDIA is a strategic alliance partner of SAE International registered in India as an Indian nonprofit engineering and scientific society dedicated to the advancement of mobility industry in India.SAEINDIA hosts a number of national level Technical events in India to promote pragmatic learning among undergraduate students. The major events organized by the SAEINDIA are Effi- Cycle, BAJA, SUPRA and Aero Design Challenge. 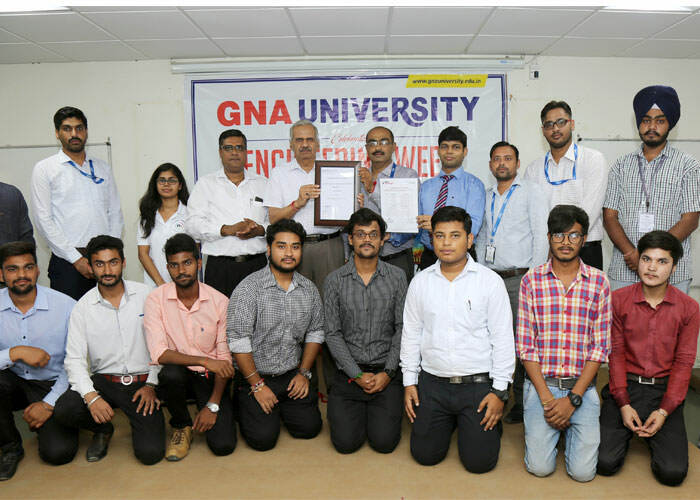 The student office bearer of the SAEINDIA Collegiate club of GNA University are also recognized during the inauguration ceremony in the presence of Faculty Advisor of the club, Mr. Virender Singh and Additional Faculty Advisor, Mr. SurajKalia. The University provides excellent facilties to the students. Feel free to ask your question. GNA UNIVERSITY established under Punjab Act No. 17-2014 © 2017 GNA University.